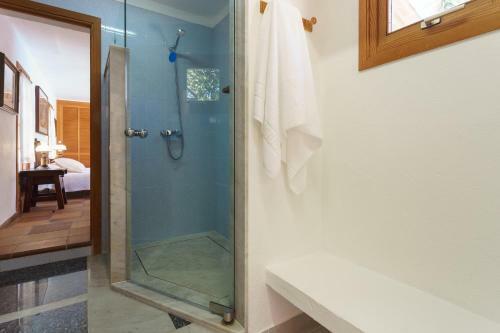 Ca Na Catalina in Pollença is a villa with 1 room. 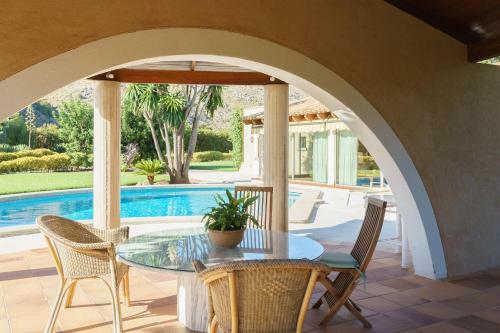 Featuring a private outdoor pool, tennis court with equipment, terraces and private parking, Ca Na Catalina is set in the countryside, 5 km from Port de Pollença and its beaches. 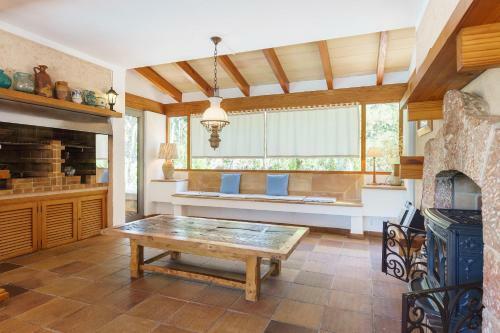 The air-conditioned villa mixes modern décor with rustic wooden furnishings. 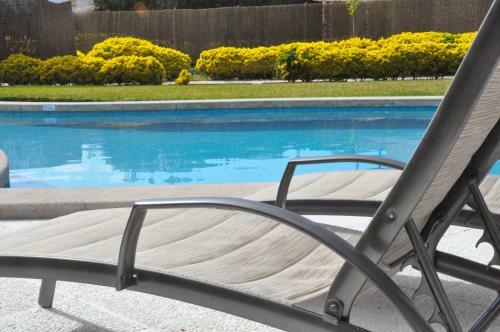 It includes a lounge area with satellite TV, a DVD player and sofas, which opens onto the pool area. 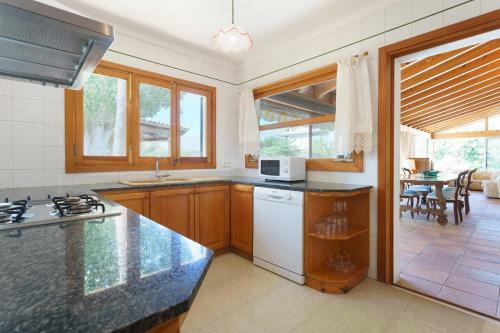 The kitchen is equipped with an oven, microwave, dishwasher and washing machine. Free Wi-Fi is available. 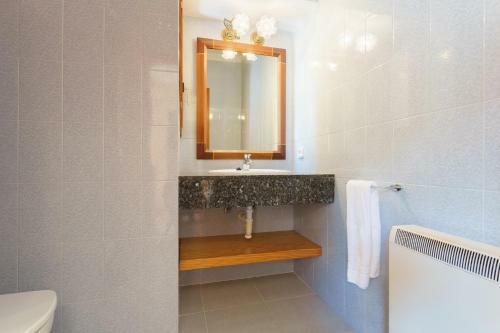 Both Pollença and Port de Pollença ca...n be reached in 10 minutes’ drive and offer a wide range of restaurants, bars and shops. Guests can also dine outside at Ca Na Catalina, using its covered terrace with dining table and barbecue facilities. Palma Airport can be reached in 45 minutes’ drive via the MA-13 Motorway. 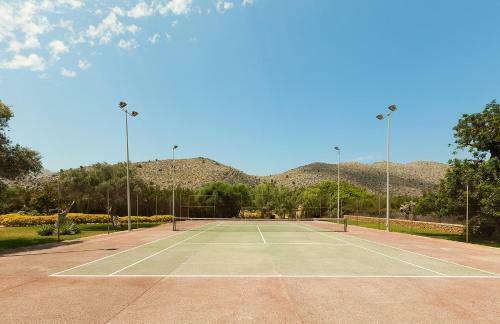 Featuring a private outdoor pool, tennis court with equipment, terraces and private parking, Ca Na Catalina is set in the countryside, 5 km from Port ...de Pollença and its beaches. 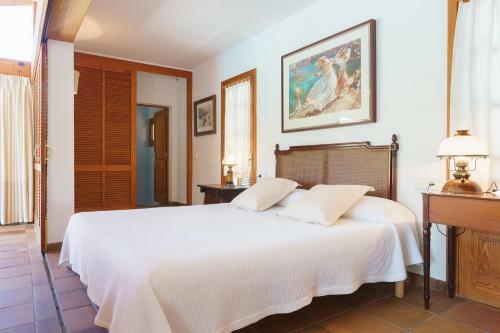 The air-conditioned villa mixes modern décor with rustic wooden furnishings. 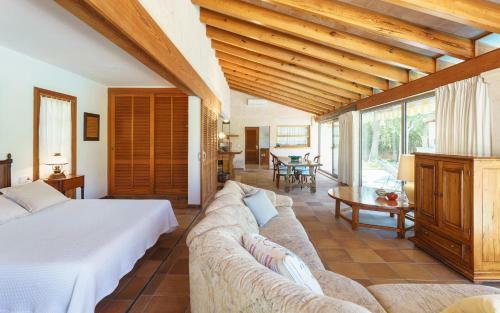 It includes a lounge area with satellite TV, a DVD player and sofas, which opens onto the pool area. 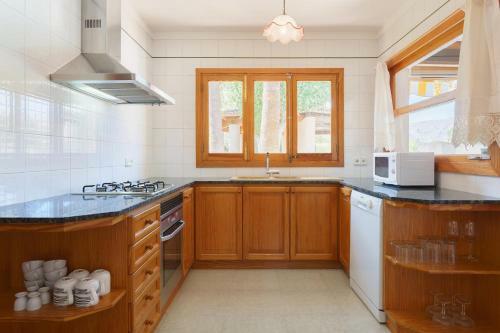 The kitchen is equipped with an oven, microwave, dishwasher and washing machine. Free Wi-Fi is available. Both Pollença and Port de Pollença can be reached in 10 minutes’ drive and offer a wide range of restaurants, bars and shops. Guests can also dine outside at Ca Na Catalina, using its covered terrace with dining table and barbecue facilities. Palma Airport can be reached in 45 minutes’ drive via the MA-13 Motorway. When would you like to stay at Ca Na Catalina? Please inform Ca Na Catalina in advance of your expected arrival time. You can use the Special Requests box when booking, or contact the property directly with the contact details provided in your confirmation. This property will not accommodate hen, stag or similar parties. Swimming pool is closed from Sun 01 Dec 2019 until Fri 31 Jan 2020 Please note that only the number of guests indicated at booking can enter the property. Please note, this is a non-smoking property.